This is probably one of the yummiest dishes you’ll ever come across. It’s a smorgasbord of eggs, bacon, tomatoes, peppers, and other delicious ingredients. 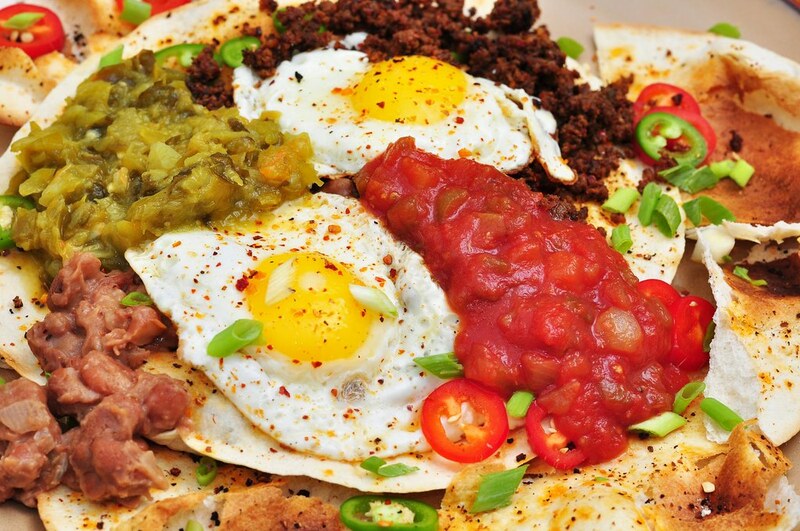 Huevos Rancheros translates to “Rancher’s Eggs” in Spanish, probably because it was a favorite meal of cowboys back in the day. This isn’t really much of a meal than more of a bunch of things thrown together on a plate but a name it has.